The Port of Seattle, celebrating 20 years as a key cruise homeport, has started the 2019 season with the arrival of the first ship, the Celebrity Eclipse, at the Bell Street Pier Cruise Terminal at Pier 66. 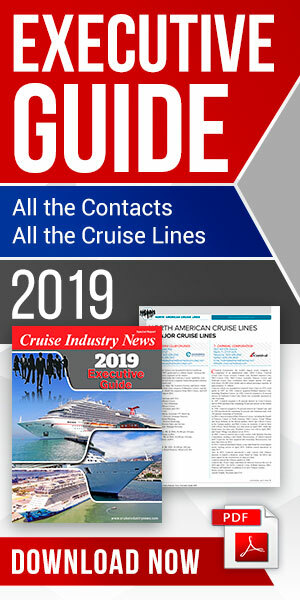 The results of a new economic impact report show that the cruise business creates nearly $900 million a year in local business revenue, according to a press release, with each homeport ship call contributing an average $4.2 million to the state’s economy, and supporting over 5,500 jobs. Cruise vessels made port-of-call stops in Elliot Bay prior to the Port building a homeport cruise terminal. Regularly scheduled cruise service began in May 2000 with a long-term commitment from Norwegian Cruise Line, beginning a partnership that lasts to this day. The Port expects an estimated 1,208,590 revenue cruise passengers this year, breaking last year’s record of 1,114,888. This year, the Port of Seattle will host the three largest cruise vessels on the West Coast, leading with the addition of the Norwegian Joy, and the return of its sister ship, Norwegian Bliss, both of which carry upwards of 4,000 passengers. There is also the arrival of the Ovation of the Seas from Royal Caribbean, with 4,180 passengers, which will be the largest cruise vessel on the West Coast this season. The total economic impact of cruise ships to the state economy in 2019, including direct, indirect, and induced impacts is estimated at 5,500 jobs, $260.1 million in labor income, and $893.6 million in business output, according to the port. Based on these estimates, in 2019 each homeport vessel call on average will support a total of $4.2 million in economic activity to the region. The Port of Seattle is also exploring the development of a new cruise facility at the north berth of Terminal 46 and is seeking a partner to support co-investment into the terminal and to operate the facility once construction is completed.